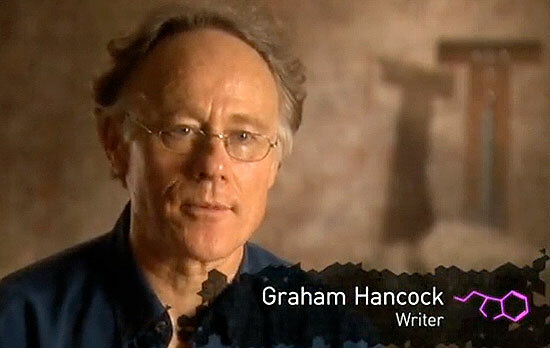 The film features interviews and commentary from some very interesting and well-known writers and explorers like Graham Hancock and Dennis McKenna. DMT is an integral component of the Ayahuasca tea – the great spirit medicine of the Amazon. You can read my series on my own amazing Ayahuasca experiences in the Upper Amazon in this blog, beginning here: Ancient Songs and Green Magic, Part I. Here lies the luminous and numinous edge of the continent of mankind’s knowledge. Many fear the great Unknown and recoil from it. Others venture out to explore, to learn, and to bring back untold treasures for themselves and all of humanity. We must not allow the fearful to forbid the brave, or we may lose our birthright and our heart. and will not be rashly explained. Ralph Waldo Emerson – “Nature,” Essays, Second Series (1844). Goblin Valley State Park is just one of the wondrous, alien landscapes in Southern Utah. This land casts a spell unlike any other place I know. For those interested in the entheogenic San Pedro (Huachuma) or Peyote cacti, this is an interesting article on the near-mythical Cactus of the Four Winds. It is very possible that humans have caused some ancient, powerful psychoactive plants to go extinct. Soma is the most notable one of these. It may be that some of these plants were/are very rare, and we simply loved them to death. It will be interesting to see if this one (if truly a separate plant) can be found still living in some strange nook of the Peruvian mountains or deserts. My last post about the Mayans made me think about how they revered caves and other underground spaces as sacred portals to the afterlife, so I thought I’d post this recent image of mine from Carlsbad Caverns Nat. Park. Earliest Known Mayan Calendar Found in Guatemalan House – Bloomberg. 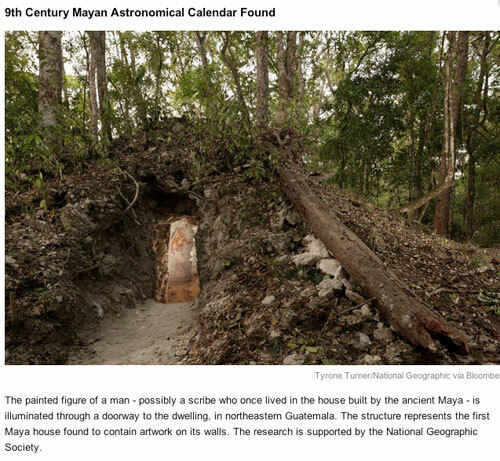 As I suspected, this discovery helps to show that the Mayan “End of the World” is not literal, but rather a change of time or a transition to a new era. This is similar to the same end-of-the-world phrases in the New Testament that actually spoke of a fundamental change of the social, political, and religious “world” of that time. What might our new “world” look like? Will the transition seem slow or fast? The modern Mayans I’ve spoken with know no more than we do.